Nice work girle! I envy that sweet medal. AND The tech t at my last half sucked turds. I want that long sleeve! Awesome, it seems like you're getting back in the swing of things in terms of running. Get back at it! That is one cool medal. Love it, and Congratulations on that half marathon. Looks like you have a busy race schedule. You are doing all that in 2 weeks time? lol. Second best of a few dozen races -- and on less training, not the ideal conditions -- is definitely a win in my book. 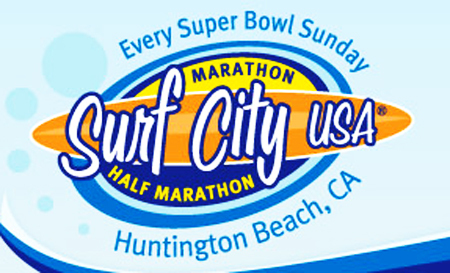 I've spectated at Surf City, but never been interested in running it. Beach running is cool until you realize it's soooo sunny. Wow! What a great race, both in terms of your time and the swag (here in NYC we're lucky to get a t-shirt for most races, but alas, no medal). You're pace is spot-on too. I'm really hoping to run a sub 2-hour half this year. Great job with your race! Congratulations! And that is some seriously cool stuff they give you. Awesome shirt! Well done, and I hope you have a great season of running ahead of you!